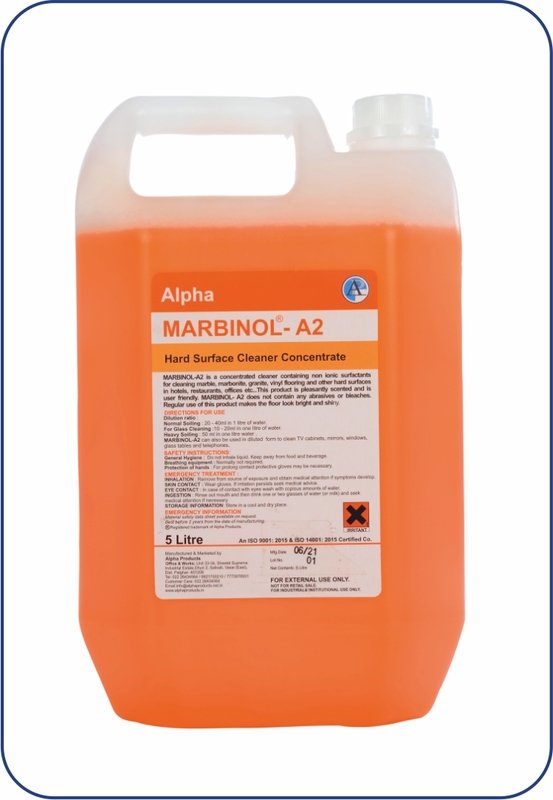 MARBINOL-A2 is a concentrated cleaner containing non-ionic surfactants for cleaning marble, marbonite, granite, vinyl flooring and other hard surfaces. This product is pleasantly scented and is user friendly. Dilution ratio: 20 - 40 ml in 1 litre of water for glass cleaning 15 to 20 ml in 1 litre of water. MARBINOL-A2 can also be used in a diluted form to clean TV cabinets, windows, mirrors, glass tables and telephones.